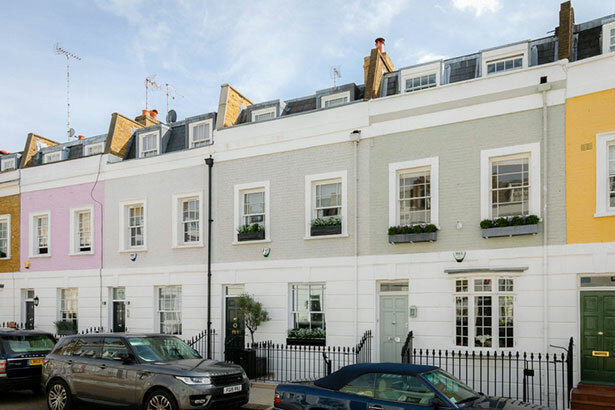 When luxury developer Finchatton refurbished a pastel house on the quiet residential street of Smith Terrace, they reconfigured the traditional terraced property to create a modern and immaculate residence. Designers utilised contemporary materials including glass and mirror fittings to open up the interiors. Four years since the interior overhaul, the stunning three-bedroom house remains in pristine condition. It provides 2,383 sq. ft. of luxurious living space set over five floors and offers planning permission for an ultra-high-tech retractable glass terrace, which would double the outdoor space. With a highly desirable location just off the King’s Road.